People out there are divided whether it was a right decision to award Obama with a Nobel prize for peace. In fact, almost everyone around me is outraged, what ‘peace’ they ask, what about Iraq, Afghanistan, Guantanamo Bay, Palestine? We are tired of promises they insist. The Nobel Prize committee on its part ‘highlighted Obama’s effort to support international bodies, build ties with the Muslim world, act in favour of nuclear disproliferation and fight Climate change’. Those who are unimpressed with Obama stress that the above is just ‘empty rhetoric’, nothing but ‘hot air’. “We want to see action, we demand facts on the ground”. While Obama’s critics raise some valid points, they for some reason seem to fail to grasp the distinction between ‘Obama the Brand’ and ‘Obama the President’. The ‘Brand’ stands for hope and humanism. It tends to say the right things on the right occasions. It is ethically aware. It employs reason occasionally and it even manages to talk sense often enough. 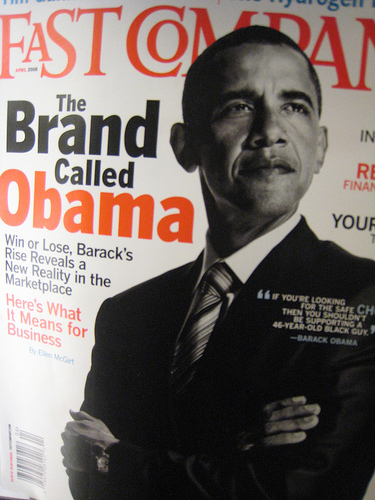 ‘Obama the Brand’ is, no doubt, a refreshing event in the Western political arena.